If you'd like to find out more about this project, as well as Neil Peart drums, I recently interviewed Sonic Reality's Dave Kerzner. Click here to read the interview. 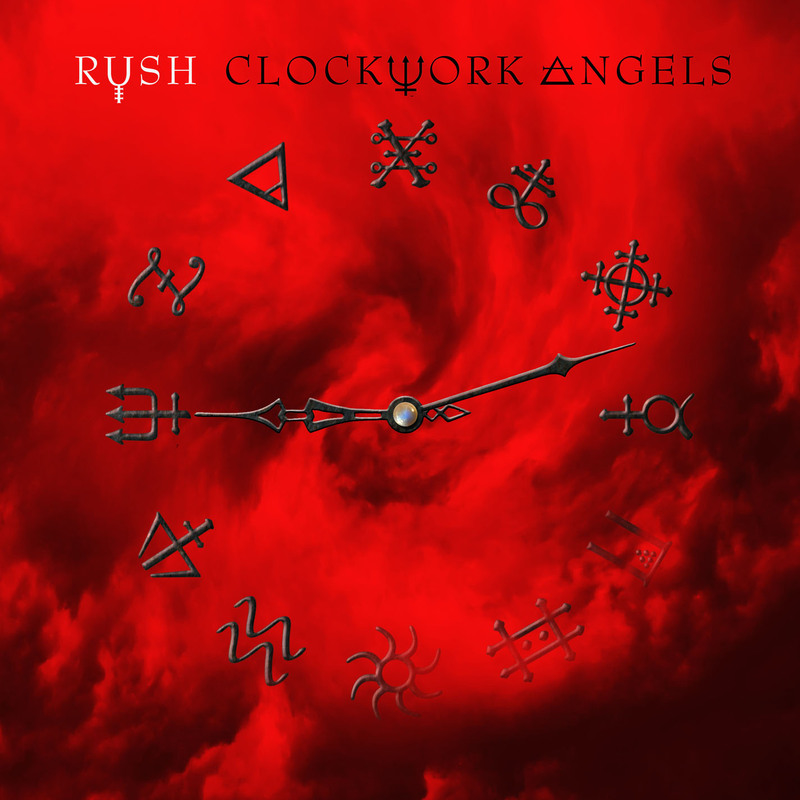 The single "Headlong Flight" from Clockwork Angels is now available to download. Click the image to go to the Amazon page. 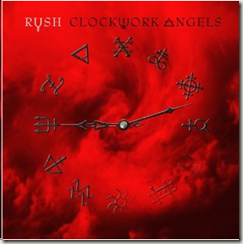 Here's the official video from Rush that includes the lyrics for "Headlong Flight." 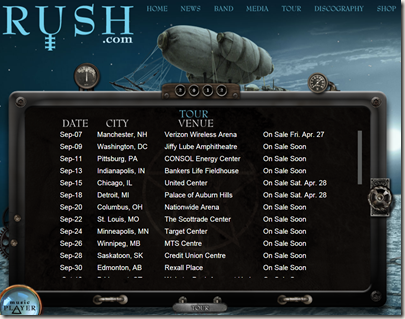 Here's the official press release for the Clockwork Angels tour. Go to Rollingstone.com to listen to the full version of "Headlong Flight." 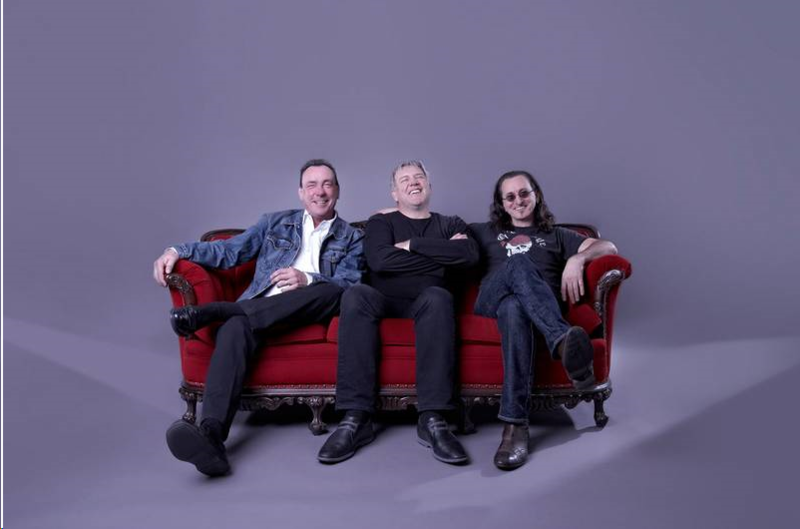 You can now hear the full version of "Tom Sawyer" from XYZ - A Tribute to Rush. This is one of five tracks on the EP, which also includes "Red Barchetta," "YYZ," "Limelight," and an original, "Trifecta." According to the person who posted this video on YouTube, a student of Freddie's from the 1970s, this speech took place on November 13, 2011, at the Sportsman's Lodge in Sherman Oaks, California. This was the memorial for Freddie Gruber, who was Neil's teacher starting in the 1990s. Last night, April 11, in Los Angeles at Club Nokia, Neil Peart accepted the Revolver Golden Gods Ronnie James Dio Lifetime Achievement award. 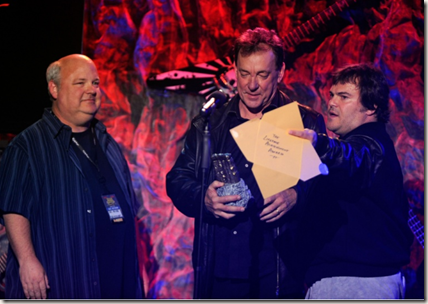 The award was presented by Tenacious D (Kyle Gass and Jack Black). 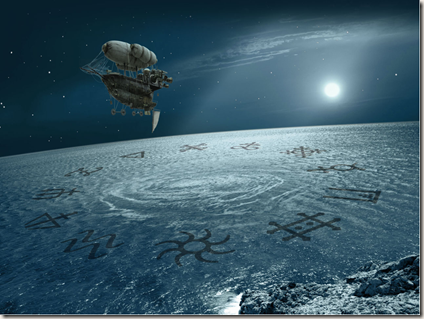 During the speech, Neil said, "Our lifetimes aren't over. Our achievements aren't over. But this is, like, so far so good, and we'll keep trying to get better." 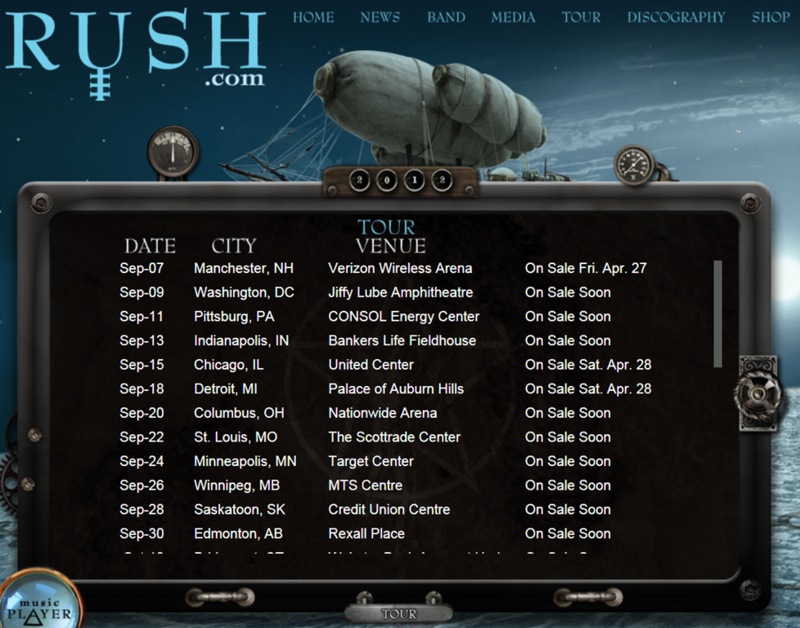 Go to a story on Ultimate Classic Rock. Bootleg video on YouTube of Neil's acceptance speech. If you are working with someone famous you have to control the fanboy in you and chill out (laughs). I mean to a certain extent. Even Nick Raskulinecz is like a big kid who loves Rush and air drums all the fills. Neil knows we're all in awe of that stuff. But you just have to be totally pro and keep your cool. Get things done and you have his respect. Enough respect for him to let you play his kit! Apparently that rarely ever happens. But I convinced Neil and his tech Loren to let me do it so I could explain how we sample the drums, which you can see on YouTube. Thanks to Dave Kerzner for taking the time to talk to me. If you have other questions for Dave, feel free to leave them in the comments, and I'll try to get them answered for you. 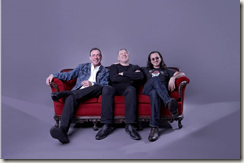 Sonic Reality's David Kerzner has been collaborating with other musicians on a unique project called XYZ - A Tribute to Rush. The 4 song EP, along with one bonus track (and another pre-order bonus track! ), will be released on April 21, 2012. XYZ is now available for pre-order. 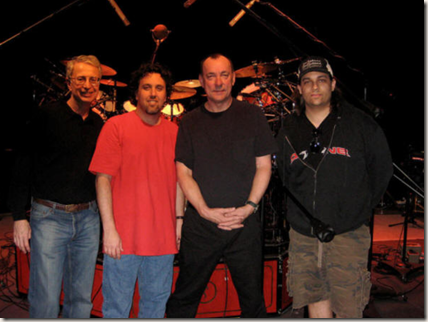 I recently interviewed Dave Kerzner about XYZ and the two Neil Peart Drums products. Click here to read the interview. If you're interested in finding out how to use these products, this interview will answer all your questions.